This post is dedicated to Ali M. from Yelp. I am a strong believer in second chances and justice, so here you go. 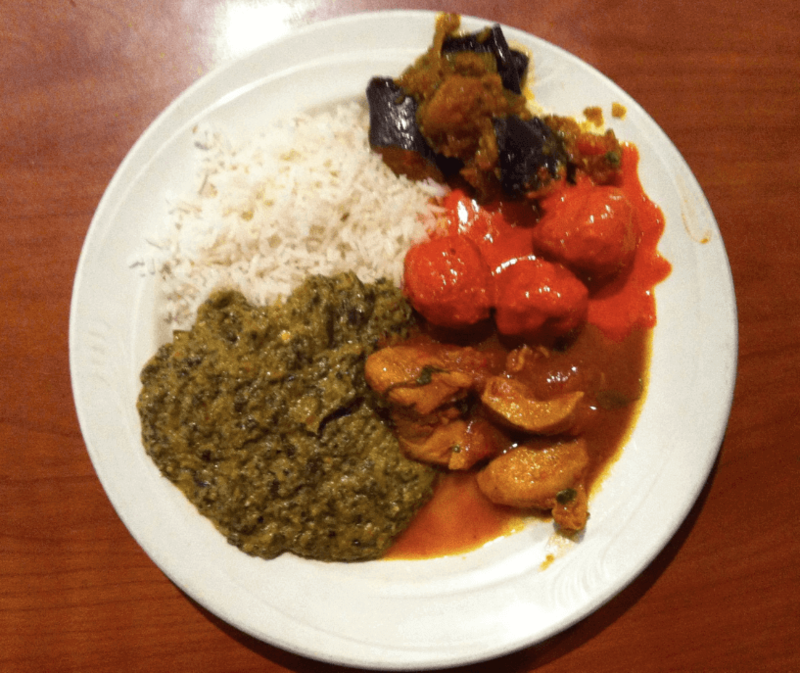 Two posts ago I reviewed Tandoori Grill based on a variety of food that I ordered for dinner. If you didn’t catch this post, and are too lazy to go and read it, I’ll sum it up real quick. I got samosas and onion kulcha, I enjoyed the former and moderately enjoyed the latter. I also ordered a chai tea and a kabob sampler, both of which were rather disappointing. I rated this a 2 out of 5, which means that my overall experience wasn’t that good, but Tandoori Grill might have a few good dishes to choose from. Seeing as the kabob sampler was prepared using the very namesake of the restaurant (the tandoor clay oven), I thought it would be a fair representation of how they cook. It was juicy yet spiceless meat and I won’t take that back (sorry Ali). This makes for mediocre Indian cuisine in my opinion, but Ali insisted that I “need to go back ASAP,” so I did…and it was literally as soon as possible (the day after reading her comment). I had a lot of chicken curry from the lunch buffet, which was a huge flavor statement. The chicken required minimal chewing, as it fell apart in my mouth and exploded with Indian spices. Since it was the lunch buffet, they didn’t serve it that spicy (hot spicy, not spice spicy), so I look forward to coming back and trying some of the curry customized to my own spice preference. The buffet also featured saag paneer, the infamous Indian staple which is made from spinach + tofu-esque-cheese. Needless to say, it was awesome. I had an eggplant + potato dish too, which was good, but I didn’t want to fill up on it if I knew I could have more of the curry and saag. Here is a picture of my plate, which I tried to present as neatly as possible. There is one item on my plate I mentioned, but have yet to describe (I wanted to devote a whole paragraph to it). The highlight of the buffet—besides the fact that it was only $10 + change—was that creative masala dish that I had never seen before: meatballs. It took the classic meatball and simply cooked it in a rich, creamy masala sauce. If I wasn’t against the overuse of hyperboles, I’d say this mildly spiced dish was mind-blowing. Tandoori’s buffet obviously shows off the items I should have ordered during my non-buffet experience. As I admit that I unfairly graded Tandoori Grill—at least as a whole—the first time around, I also do have to blame them for not naming their restaurant after what is arguably their best style dish: anything cooked in sauce. Their lunch buffet is incredibly cheap for what they serve, especially if you prepare by not eating for…a while. They also do a to-go option where you can pack a box until it is nearly impossible to close. The buffet is definitely worth checking out, and if you order off the menu, be careful what you order or you will be misguided like I was. Sorry Tandoori Grill for completely disregarding you, and thanks Ali for showing me the curry.